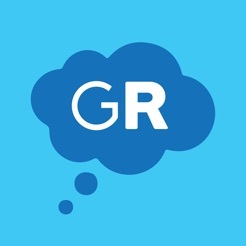 Get organised for exam revision, homework and coursework with the Get Revising App for iPhone and iPad. Our unique Study Planner helps you manage your time more effectively and stay motivated by building a revision timetable and plan around your life. Perfect for any exam preparation including GCSEs, A levels and IB, you simply choose how much revision you need to do for each subject and the Get Revising Study Planner will schedule all your revision sessions in a handy calendar. Building a revision plan helps you manage your time more effectively. 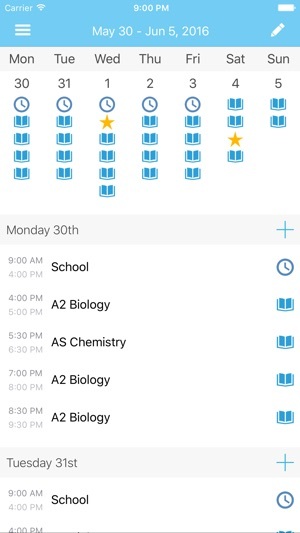 It gives you a clear idea of what subjects and topics you’ll be revising each day, gives you reminders to keep you on track and lets you update your plan when things change. Good until you actually used it. As far as making a timetable goes, it’s good. It changes around the subjects you do each week so your not doing maths every Thursday at 6pm. 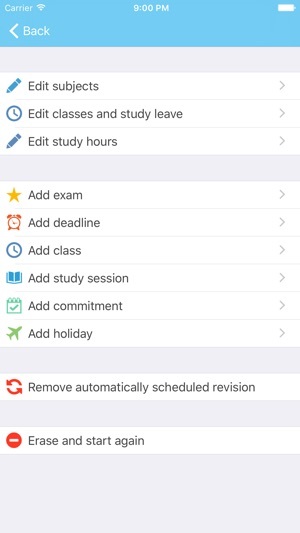 However, it doesn’t factor in school holidays and if you try to say you’re on holiday, or on study leave, it just removes the school icon, but doesn’t rearrange the revision times. 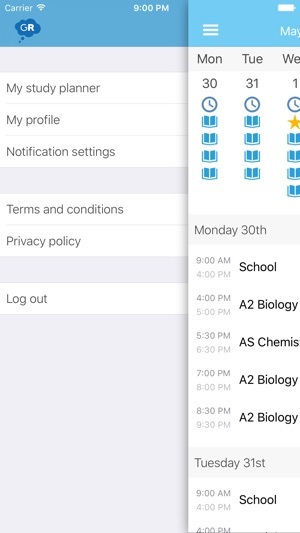 so for the weekdays you’re still stuck with 2 or 3 hours of revision at night, which would be good if school was ‘on’, but it’s not and the app fails to recognise this, and doesn’t fill in the extra hours you now have. This is a major let down as instead of doing 10 hours on Sunday, this time could be spread out throughout the week off school. After FOUR attempts at filling this in, it can definitely be concluded that this app needs an update badly. It crashes whenever a new holiday or commitment needs to be added and will not register that school doesn't occur in the holidays-I have wasted an entire day trying to sort this out with the internet being no help. Study Leave is completely ignored-why would school go on when study leave does??? Seriously needs looking at. 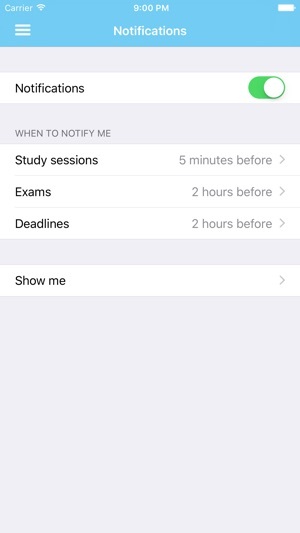 Not worth the time nor patience unless you can handle studying at the exact same times daily with commitments and holidays clashing(even if you have clicked the do not study feature!) Very disappointed, I will not be recommending this to friends. If anything this has made me more stressed than the exams themselves. All in all, seems to be extremely useful!